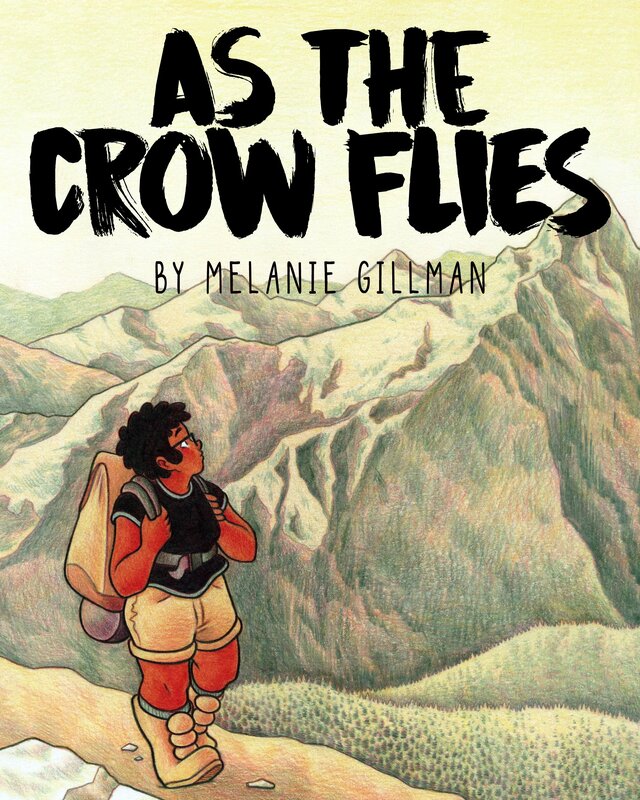 Nominated for two Excellence in Graphic Literature Awards this year As the Crow Flies by Melanie Gillman is a refreshing reminder about the delicate intersections between young adult identity and personal faith. When a queer, black, and inquisitive thirteen year old Charlie Lamonte is dropped off for a week of her summer vacation at an all-white Christian youth backpacking camp things don’t feel quite so comfortable for her. She’s not so sure this is the right camp for her. Despite her initial and ongoing anxiety, however, Charlie decides to stick it out and make the best of things. Will she be able to really make the best of her situation? Is she even safe? After all, her camp leaders seem to have some secrets she and her new friend Sydney just can’t seem to understand the reason for. Gillman’s As the Crow Flies is a timely and gorgeously picturesque graphic novel that embraces two topics that rarely seem to share the same storyline quite so well in young adult literature: faith and sexuality. It’s a heavy combination handled with exquisite care, lending itself thoughtfully to any young adult library or classroom setting. Plot: Charlie LaMonte’s world is changing. She’s thirteen years old, queer, black, and starting to question her once firm belief in a God of her understanding. When she attends an all-white Christian youth backpacking camp for a week during her summer vacation her identity and her beliefs are put on a collision course of personal growth and understanding. Suspense plays an important role in As the Crow Flies. Charlie’s feelings about her camping and hiking experiences at Camp Three Peaks evolve over the course of the story. Write a persuasive reflection essay analyzing the transition(s) Charlie experiences as a result of at least 3 of the identified suspenseful moments. The graphic organizer below will help student with these 4 lesson plan objectives. Finally, students write a persuasive reflection essay analyzing the transition(s) Charlie experiences as a result of at least 3 of the identified suspenseful moments.